Paul is the author of Soul of a Citizen, The Impossible Will Take a Little While (named the #3 political book of 2004 by the History Channel and the American Book Association), Generation at the Crossroads, Nuclear Culture, and Hope in Hard Times. His books have over 300,000 copies in print. He’s written on social involvement for The New York Times, Washington Post, USA Today, Los Angeles Times, AARP Bulletin, Chronicle of Higher Education, Psychology Today,Redbook, Inside Higher Ed, Christian Science Monitor, Parents Magazine, and the International Herald Tribune. Paul has been interviewed on CNN, NPR, PBS, C-SPAN, Fox News, NBC TV, the BBC, Canadian Broadcasting Corporation, Voice of America and national German and Australian radio, and has lectured on over 400 college campuses. He attended Stanford University and the New School for Social Research and participated in the U.S. Department of Education’s 2011 round-table on higher education and civic engagement. Paul founded CEEP in 2008. As Illinois Campus Compact’s former Associate Director, Amy oversaw programming and coordinated and developed conferences for faculty, staff and students. She was responsible for helping member campuses grow and develop their service learning and civic engagement programs and for managing the finances of the organization. Amy graduated from the University of Missouri-Columbia with a Bachelor of Journalism and spent her first three years working in advertising. 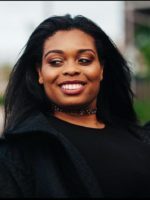 In search of a change, Amy enrolled and graduated from University of Michigan-Ann Arbor with a Master’s in Higher Education Administration, and upon graduation, moved to Chicago and began working at DePaul University in the Office of Student Life. While working at DePaul University, Amy became passionate about student’s involvement in their community and the electoral process, which led her to Illinois Campus Compact. For six years, Amy has worked to ensure the highest possible quality of ILCC programs and works with each institution’s community service staff to bring resources, ideas and experts to better their work. Amy joined CEEP in 2014 as the Illinois outreach director and saw the direct positive impact CEEP had on engaging students, faculty and staff. 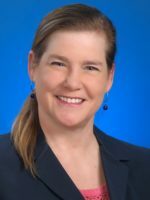 She became CEEP’s National Director in late 2016. Amy is excited to bring new and innovative resources to schools across the nation and to help them implement long term electoral engagement programs on their campuses. Courtney is a veteran of creating and managing client relationships. Before working with CEEP, Courtney worked as a field organizer in Arizona for the nation’s most competitive congressional campaign race (in 2014) and at California University of Pennsylvania’s Alumni Association. After a successful career helping others engage in their community, Courtney now advises campuses on incorporating long-term sustainable voting programs on campus. Based in her home state of Pennsylvania, Courtney enjoys all the culture Pittsburgh has to offer and spending time with her Boxer, Bentley. Courtney is available to discuss fellowship opportunities and general resources. A former White House intern, Nausheen Ansari Husain received her B.A. in English from the University of Central Florida and her Master’s in Public Administration Degree at the City College of New York. 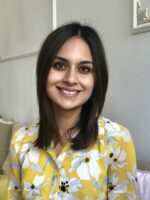 Nausheen spent five years working in the development sector at non-profits in the New York/New Jersey area, like Community Service Society of New York and the interfaith youth project World Faith, focusing on individual giving, grants, and special events. She’s also worked with the NYC Mayor’s Office and UNICEF and teaches a Political Science course at New Jersey’s Brookdale Community College to keep her grounded in student lives. 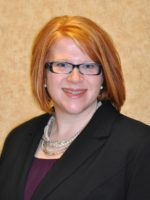 Laura Weaver, provides training on and support for the institutionalization of community engagement practices at colleges and universities across Indiana. In this capacity, Laura assists faculty with their teaching and engaged research activities involving reciprocal community-campus partnerships and supports students in implementing an array of engagement activities. She directly manages the Faculty Fellows learning community, Social Innovation Microlending program, Engaged Campus Grant initiative, Pen to Paper Writing Retreat, and Connecting Campus with Communities Conference. 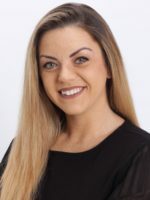 Laura has served as a Research Fellow for the Campus Compact Project on the Community Engagement Professional and has published several articles related to her work on the institutionalization of community engagement. Prior to joining Indiana Campus Compact, she spent more than eight years overseeing the Center for Service Learning and Leadership at Purdue University Northwest, and spent several years working for a national nonprofit organization partnering with college students to build awareness and support for health care initiatives. Laura received her MS Ed from Northern Illinois University and a BS from Bradley University. Samantha Bayne is a junior studying Political Science, Law, Politics, and Society, and Philosophy at Drake University in Des Moines, IA. 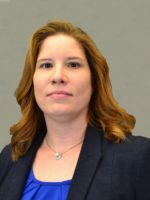 She joined the Iowa Campus Compact and CEEP team in October 2017. 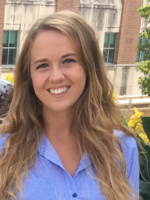 Samantha is very passionate about dialogue, higher education, and voter registration, so she has loved working with colleges and universities across Iowa on election engagement. Samantha brought non-partisan discourse programs to her school and interned for a nonpartisan voting rights organization as a first-year, and she later used that experience as the Student Services Senator in Drake’s student government as a sophomore. Samantha also coordinated a Voter Engagement Summit in a partnership with the Iowa Secretary of State’s office in April of 2018. If you have any questions, ideas, or suggestions for her, please feel free to reach out via email. Jessica Dandridge is a consultant and advocate focused on youth development and cross-cultural organizing for a more equitable society. Born in New Orleans, Jessica began advocating for communities at age 15 after Hurricane Katrina when it became clear minority and youth voices were being disregarded. Since then she has worked for various organizations around issues like equity in education, mass incarceration, food and environmental justice, and developed educational tools for cross-cultural organizing. She has a B.A in Political Science and Sociology from Xavier University of Louisiana, and an M.A from The New School in New York City, School of Public Engagement in International Affairs focused on conflict resolution, media and culture. Since 2005 she has continued to advocate for educational advancement in several areas. She has anchored several campaigns insuring youth voices are heard and developed into better policy procedures through her consulting company Patois. Currently, her goal is to ensure young people believe in the power they hold to impact their future. She believes by expanding the knowledge of young people beyond their borders and giving youth responsibility to impact the world around them, they can mobilize one another for a more sustainable and conscientious society. 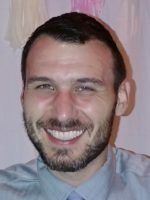 Daniel Schultz has a BA in English from the University of Wisconsin and a Master’s in Theology from Emory University’s Candler School. He’s taught theology and first-year studies at Lakeland University and Marian University of Wisconsin, and worked at a dictionary, a foster care agency, as a Web designer, and with the homeless. 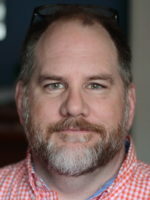 Since 1999, Dan has been an ordained minister in the United Church of Christ, serving congregations in Georgia, Pennsylvania, and Wisconsin. He loves doing baptisms and gives a great funeral. He still preaches a few Sundays a month. He is widely published on matters of religion, politics, and church life, as well as an adjunct professor of theology. In his free time, Dan enjoys photography, bike rides, reading comic books, obsessing about music, and spending time with his new granddaughter. Rachael is a Ph.D. student in the Department of Political Science at the University of Minnesota–Twin Cities studying American politics and political psychology. She is interested in how people form and organize their political opinions, the motivations people have to become politically engaged, and the relationship between political knowledge and political decision-making. Because she studies political engagement, she is excited to be working for Campus Election Engagement Project to bring her research to life. Prior to moving to the Twin Cities, she lived in South Carolina and attended Coastal Carolina University for a B.A. in Political Science and a B.A. in Communication. During her undergraduate career, Rachael worked for a public policy and polling institute, a local news station, was a research assistant for two years, a mental health peer educator, and ran nonpartisan campus electoral engagement activities on her campus as president of Pi Sigma Alpha. Jacob is a Missouri native returning to work with colleges and universities in his home state during the 2018 election. He has worked in higher education for the past seven years and has a passion for research, organizing, leadership education, and increasing political learning and democratic engagement on college campuses. Jacob is a PhD candidate in Higher Education at the University of Arizona studying student voting efforts on college campuses. Previously he attended Iowa State University, where he received his BA in Political Science and Women’s and Gender Studies. He also attended The George Washington University and received his MA in Higher Education Administration. 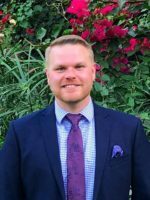 He has worked on several campaigns, interned at the U.S. Department of Education, managed an academic internship program in Washington, DC, and taught undergraduate leadership courses at the University of Arizona’s College of Education. Jacob is the founder and co-chair of the Missouri Courage Scholarship, a non-profit organization that awards scholarships to college-bound high school seniors working to enhance the lives of LGBTQ people and advance social justice. Bryce is the executive director of MontPIRG, a Montana based non-profit dedicated to educating and empowering a new generation of civic leaders. Each year MontPIRG leads voter registration, voter education, and get-out-the-vote nonpartisan efforts on the two Montana flagship campuses in Missoula and Bozeman. Bryce has spent his life advocating for open and accessible elections and clean, transparent campaigns. Through grassroots advocacy and work in the Montana Legislature, Bryce has helped make voting by mail easier, stopped people from being regularly dropped off the voting rolls, and preserved student dense polling locations. Jan brings a strong background in civic engagement, education and social change to her new role as CEEP’s Mountain West Director. Jan Brennan has held a variety of positions in civic engagement, community-engaged learning and in education and cultural policy. She most recently worked with Education Commission of the States’ National Center for Learning and Civic Engagement, where she was responsible for key publications on civic education policy and served as the project leader for a national service-learning initiative. Jan is currently completing a Master of Public Administration at the University Colorado Denver. Jan is licensed as a Court Appointed Special Advocate for children. Parker holds a B.A. in Communication and Community from The Evergreen State College and M.P.A. (Masters of Public Administration) from The Evans Schools of Public Policy and Governance at the University of Washington. Parker worked for the Seattle Community Colleges for 13 years where she created instructional media, founded distance learning programs and spearheaded the coordinated studies program “Power, Politics and Persuasion in the Information Age.” Long interested in telecommunications and information policy, she worked on issues of universal service, access to technology, privacy and the digital divide. She was Senior Policy Analyst for the Washington Higher Education Coordinating board; Instructional Designer at Microsoft; Advisory Board member to the Washington Utilities and Transportation Commission; and board member of ACLU Washington. Johanna is an experienced and dedicated intrapreneur. For the past fifteen years, she’s worked to improve communities and serve those with greatest need. She’s made social change her prime focus since graduating from Eastern University with an M.S. in Nonprofit Management. Earlier she graduated with honors from Temple University where she earned a B.A. in Criminal Justice. She’s recently enrolled in the Beasley School of Law. Johanna has worked to advance communities and individuals in a wide variety of capacities; whether building homes for families, tutoring and mentoring youth, working for environmental or healthcare improvements, or working on grants and fundraising. She looks to continue this success through empowering others, including students, to become productive and active citizens, while increasing her own power as a change agent. Johanna is also a proud resident of Philadelphia, the City of Brotherly Love and Sisterly Affection, where she actively participates in her neighborhood association, local food co-op and tends to her community garden. 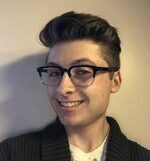 Luke joined CEEP in 2017 and is currently a junior at University of Wisconsin-Madison studying Journalism and Spanish. 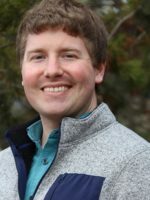 During his time at UW-Madison, he has engaged in voter outreach work through an internship with Madison City Clerk Maribeth Witzel-Behl, where he has created a long-term communications plan between the City and the University. Because of his work, the City now can display important voter outreach material across campus, something that has historically been of great difficulty. He has also served as a Special Registration Deputy (SRD) and Election Official (EO). He is driven by a desire to make sure everyone can perform their civic duty easily and efficiently, a goal he believes can be achieved through education. Ellen holds a B.A. in English from Wesleyan University. She worked at Encyclopaedia Britannica for 19 years, honing her fact-checking skills and sense of nuances as a copy editor for a variety of yearbooks, project coordinator for several books, and project manager for the online Britannica. She worked on all phases of print publications—from concept and development of articles, soliciting authors, review and editing, design, page proofs, and finished product. Ellen worked as organizer for Western Washington Fellowship of Reconciliation, where she wrote, solicited, and edited articles for newsletter, email alerts, & other publications, as well as organized and provided support for programs, forums, and conferences. She was director of a summer program for high school students that helped high-school students develop leadership, competency and confidence, to interpret the world and solve problems, and to advocate for themselves and create positive change in their communities. John Boylan is a Seattle-based writer and producer who helped research and edit CEEP’s 2018 nonpartisan guides. In 2016 he created and produced 9e2, a nine-day festival of art, science, and technology that included work by more than 100 artists, performers, engineers, scientists, and technologists. For more than 20 years, he has hosted a roundtable conversation series about art, politics, and science, featuring major artists, scientists, poets, writers, musicians, architects, actors, activists, and impresarios. Boylan worked in web publishing at Microsoft for 15 years, and has also been an editor, journalist, art critic, and researcher. He holds an MA in communications from the University of Washington and two BA degrees, in history and English literature, from Pennsylvania State University. Jonathan holds a B.S. in Biochemistry from Marquette University and an M. Ed. in Higher Education Administration from the University of South Carolina. 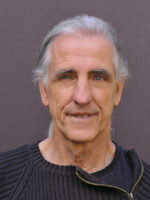 He served in the United States Peace Corps in Vanuatu as a Math and English volunteer from 2002-2005. Upon successfully completing his service, Jonathan, along with two other Returned Peace Corps Volunteers founded the Tsunami Assistance Project, which funded and built an orphanage in Nagaputinam, India. 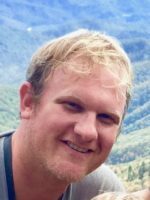 After receiving his master’s degree, Jonathan worked for four years with North Carolina Campus Compact managing their AmeriCorps*VISTA, Summer Associate, and Student Conference projects, and their 2008 CEEP efforts. Jonathan was CEEP’s 2012 National Director and has been consulting with us ever since.